BERLIN – (November 8, 2014) — Southern Christian Leadership Conference (SCLC) President Dr. Charles Steele, Jr. joined with former Soviet Union President Mikhail Gorbachev, European and world leaders Saturday in Berlin to commemorate the 25th anniversary of the fall of the Berlin Wall in November 1989, signaling the end of the Cold War. Steele, invited by Gorbachev, is the only American participating in a two-day summit at the Allianz Forum entitled “Europe 25 Years After the Fall of Berlin Wall – New Doubts, New Divisions, New Walls.” Also this weekend, Steele is meeting privately with Gorbachev to discuss his desire to help carry out the dream of Dr. King on peace on nonviolence. “This is a great moment for the SCLC to be at the center of such an historic event,” said Steele, who currently leads the international organization founded by Dr. Martin Luther King Jr. and others to champion civil and human rights in America and around the world. “The people in Germany and throughout Europe are passionate about Dr. King’s nonviolent approach to obtaining peace around the world and they are always offering us a seat at the table to continue the work of Dr. King. The influence of President Gorbachev, who wants to partner on a campaign to address poverty and promote peace, will only lend more credibility to our work,” Steele said. In September 1964, Dr. Martin Luther King Jr., then president of the SCLC, made a historic visit to Berlin. His trip occurred 30 years after his father, the Rev. Martin Luther King, Sr., known as “Daddy King,” travelled to Berlin with a delegation of Atlanta pastors to commemorate the 100th anniversary of the Baptist congregations in Germany. It was also during the 1934 trip when the elder King decided to change his name and his son’s name from Michael to Martin after the 16th century German theologian Martin Luther, who initiated the Protestant Reformation. The impact of Dr. King’s visit still resonates in Germany and many here credit Dr. King for being one of the heroes behind the scenes who helped bring an end to the Cold War and the wall coming down on November 9, 1989. “Some are even saying that it’s already begun,” Gorbachev said. The SCLC, under Dr. Steele’s leadership, has elevated its role in bringing peace throughout the world, using the principles espoused by Dr. King to lead global solutions through mediation and nonviolence. Steele will conclude his visit to Berlin on Monday and will speak before world leaders on Sunday, day two of the summit led by President Gorbachev. To learn more about SCLC, visit https://nationalsclc.org/. To secure an interview with Dr. Charles Steele, Jr., please contact Jerry Thomas at jerry@jerrythomaspr.com or call 205-454-8560/ 312-285-5166 or Ivan Thomas at 202-904-4790 or ivan@jerrythomaspr.com. 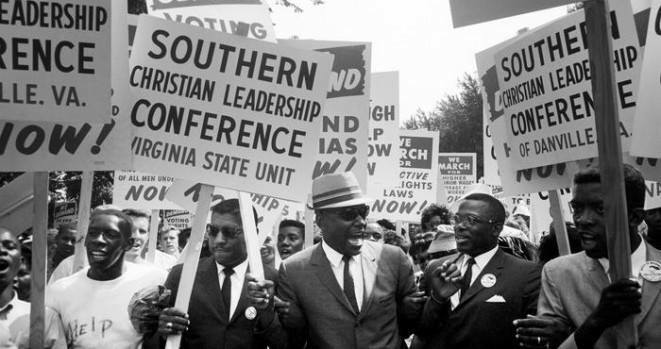 ABOUT THE SCLC: Established in 1957, the SCLC, whose first president was Dr. Martin Luther King, Jr., is a now an international organization made up of chapters and affiliates with programs that affect the lives of all Americans: north, south, east and west. Its sphere of influence and interests has become international in scope because the human rights movement transcends national boundaries.